The Seagull SWS series features all solid wood construction, including the back and sides, which are laminate on many other Seagull models. 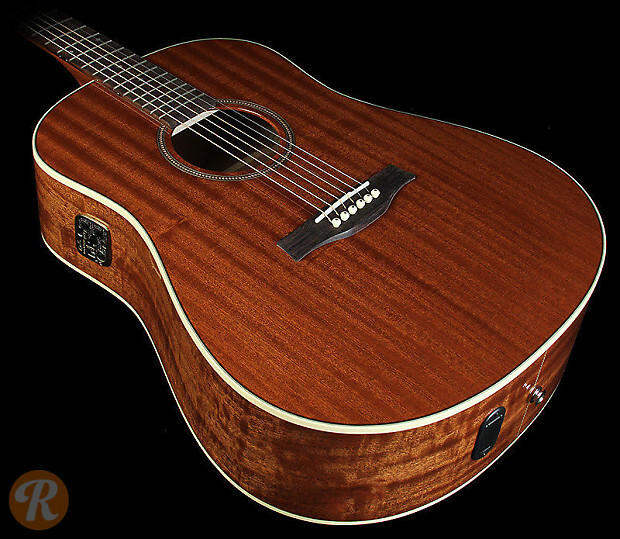 The Maritime SWS Mahogany HG is a standard dreadnaught body shape with all mahogany top, back and sides. It features a very light high-gloss finish. The QI designates that it comes with Seagull's Quantum I electronics onboard.